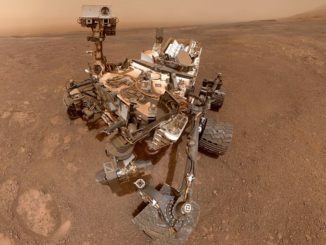 Analysing gravity data from the Curiosity Mars rover, researchers have found Gale Crater might not have been completely filled in the distant past. 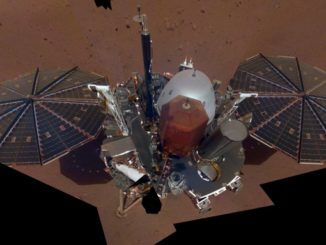 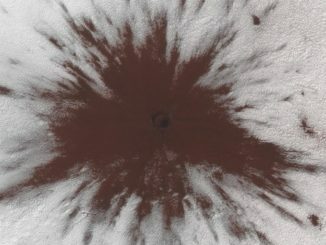 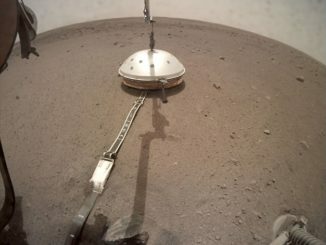 A meteoroid crashed into Mars between July and September 2018, penetrating the thin southern ice cap and excavating dark sub-surface sand, a very noticeable blemish on an otherwise pristine surface. 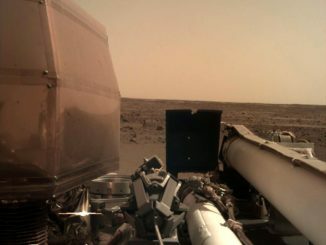 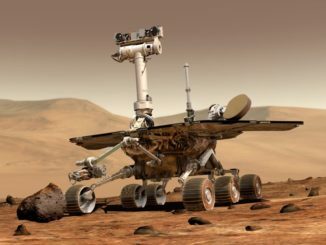 NASA’s Opportunity Mars rover landed on the red planet 15 years ago 24 January; engineers are still attempting contact in the wake of a global dust storm last year. 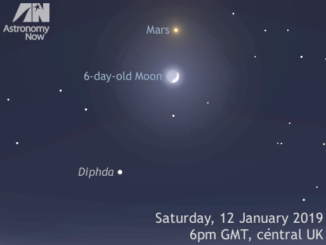 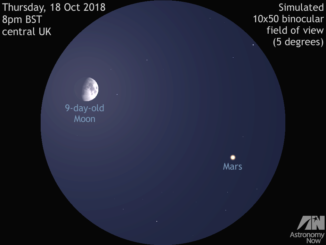 Observers in the British Isles looking due south close to 6pm GMT on Friday, 7 December will find magnitude +0.1 planet Mars about 30 degress, or a span and a half of an outstretched hand at arm’s length, above the horizon. 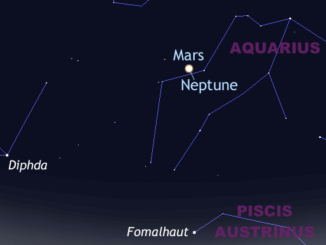 What you won’t see unless you have binoculars or a small telescope is that magnitude +7.9 outermost planet Neptune lies just one-tenth of a degree from the Red Planet.